Emergency medicine and information technology - pimp my gadgets! 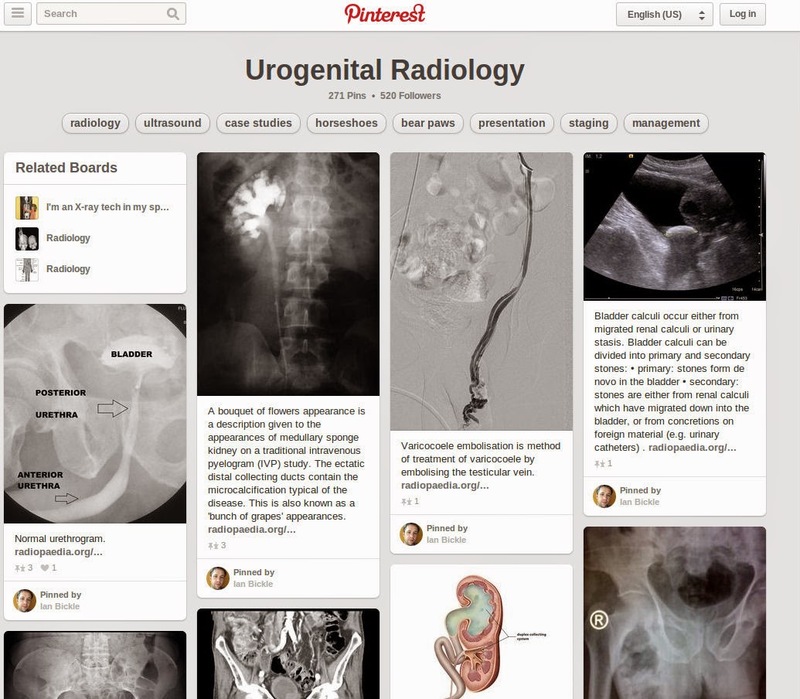 This is the first time I see a useful application of Pinterest in medicine! Lots of information packed in a small board, easy to view and browse through. Lots learned in short time. FOAM at its best! Old habits are hard to brake. Many doctors are dependent on an old technology, the dictaphone, to create their notes despite many advantages of writing text themselves. Younger doctors, raised with laptops and smartphones in immediate reach, write as fast as they talk and wouldn't touch a dictaphone with a large pole. I commonly hear from colleagues that they can’t imagine writing their own notes because “it’s stupid to have the most expensive workforce doing secretary work” Some argue that they write too slowly and have better things to do than learn typewriting. So let's look into this, how come some doctors write almost all their notes, what is it that we "writers" have found out? A medical note contains all relevant information for a patient case and is highly valuable to all caregivers, a little like the black box in airplanes. The note contains details which are easily left out in verbal reports, everyone who has played the whispering game knows this. The emergency department is unique in that a huge amount of valuable information is collected, history of present illness, clinical examination etc. Lots of health personal will be taking care of the patient not only in your ED but the hospital as the patient is admitted. It's obvious that this information must be ready for others to view immediately. Experienced physicians know that patient handover is the most dangerous point in patient care as information is easily lost or skewed. Remember - up to 10% of admitted patients are victims to medical errors, the sixth biggest killer in USA! A high quality medical note accessible to all caregivers decreases morbidity and mortality. Thus, unless your secretary transcribes your dictations immediately you should consider writing your notes. Patient security is an important issue but as we writers have found out there is lots to gain for the doctor. Seeing text in front of you on the screen gives you much better overview of the case you are describing and helps making the note structured and appropriately detailed. As you learn more about your patient you can modify or add that information directly rather than battling the dictaphone to edit your previous recording. Dictating is mostly an passive activity while writing makes your brain crunch the details, evaluating the pieces bit by bit to create the bigger picture and final conclusions. Thus I feel much more confident in my written notes than those I've dictated. Having a note immediately ready allows me to use parts of it to copy & paste into associated notes e.g. radiology or clinical request forms. Medical letters can be created instantly and sent away only minutes after the patient has left the ED. This save you the time and hazzle of reading through your note days or weeks later and keeps your list of unsigned documents empty. The feeling of leaving work without unsigned work waiting is truly awesome. With the rise of e-Patients, a final and ready medical report can be handed directly to the patient who is then better informed and can then easier follow the treatment plan or advice given and therefor less likely to come back unneccessarily to the ED. But I'm a slow writer! Learning to write faster is easily achieved and has been covered earlier on this blog. By learning touch typing and doing some training you can easily pimp your typing speed about 1-200%, it's as easy as learning to ride a bike. By writing faster you will also gain great productivity boost in daily life as described in the post above. Since you do a structurized clinical examination and review of systems, templates are great to describe those parts that are normal. There are lots of ways to do this, I have a special document in Google Drive (Docs) with my template texts, with copy & paste I can finish the clinical examination part in less than a minute. Abbrevations are also a great way to boost your typing speed and learning the most common ones is time well spent. 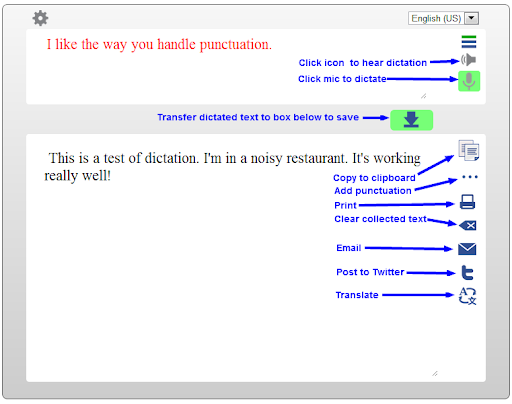 Voice to speech recognition allows you to create text by speaking to your computer or smartphone. Medical jargon may not be so easily transcribed but increasingly more common are software tools which understand these too. Finally - you can use the best of both. Write the most important important information such as HPI, clinical examination, assessment and plan and then finish the rest with the dictaphone. Have a Coke AND a Snickers! The times they are changing indeed. The public increasingly demands all kinds of information to be open and freely accessed. Sweden is currently adding law giving patients the right to see their medical journals even before the doctor has read them through and signed. This of course has caused a stir amongst doctors but trials have been in patients' favor. My guess is that in 20 years time we will look back and laugh at that medical records once were the doctor's secret. Of course the patient should be totally involved right from the beginning. This trend is yet another reason for us to start writing more notes with higher quality content, not only for the benefit of our patients but also ourselves. Night shifts are dreadful. Even days before starting a week of night-shifts I feel my stomach beginning to turn upside and down. Hungering for sleep in the early morning hours, I'm almost in a dreamstate, careless as a sociopath, trying to stay alert while making important decisions that my patients’ life depends on. The last hours of the night-shift are my most awkard moments as I can hardly speak correctly and the social-skills part of my brain simply shuts down. There's only one way out of it - to stay awake and finish my work. And hope for the best. Having done about 10 years of night-shifts in the ED I have tried many different tactics to make these a little easier. It seems there are indeed some things that work better than others and I wish someone had taught me these in my first years. Therefore I’d like to share my experiences with you. Do lots of sports! Jog, bicycle, gym... 60 minutes of physical activity gives me much more energy than a nap. Being in good physical condition in general makes the difference of being a zombie in the ED or just a tired doc. Avoid sleeping for longer time. I’ve tried all variants - long naps in the middle of the day and just before starting the shift. I’ve found out any nap longer than 30mins makes me tired already in the first hours of the shift. It’s like these rare days when I get ‘restoration sleep’ and sleep for 10+ hours or... I feel even more tired then before hitting the bed. It is if my mind cannot wake up although my body has. Deep relaxation techniques. I’m habitually impatient and find it hard to do deep-relaxation as much as I’d like to do. But when it works I’ve found even as little as 20 minutes of deep relaxation to be equal to 1-2 hours of sleep and I feel much more energetic than if I’d slept. It is if some magical reset button is pressed and I’m not only physically more energetic but also mentally, especially when I manage to meditate also. Enjoy a good podcast. Some podcasts from ED colleagues have made me so excited that I can’t wait to start my shift. The newest EmRap or an awesomeness from EmCrit - even falling asleep to a short nap from these puts me "in the mood". I'm not saying I start every night shift with goose-hairs... but a good podcast really helps me getting mentally prepared and reminds me I'm not the only one getting ready to stay awake a whole night. The worst night-shifts are those after being away from work for a longer time and suddenly thrown into the cage again. That’s when a good podcast while out jogging helps a whole lot. Show up 30min earlier and start preparingI've found this to be a good way to mentally prepare my self as I really need to be as alert and energetic as possible already in the first minute. Strive for 200% efficiency in the first hours. My most important goal is to be as highly energetic and alert as possible when I start my shift, the first hours are the true golden hours and I've found that how I work these affects the rest of the night. I want to be able to do a 1-2min check on all idle (bed blocked!) patients and see as many new as possible to start doing orders for labs, xrays etc. I write no notes in the first hours, only jot a draft on paper and go straight on to the next patient. By doing this I can see 5-8pts in the first hour already and often ensures a few peaceful hours later in the night when my alertness sinks again (and coffee and Red Bull doesn't do it!). Therefor my highest priority is to make sure that I start my shift as energetic and alert as possible and I never nap the hour before. Meditation or physical activity is much better for the that really important pre-hour. Increasingly I've found it to help a lot to show up 30mins before the shift starts to get mentally prepared. I might look at the list of patients and even check some notes or just sign notes from last shift. It's all about being focused on the ED when the bomb-shells start dropping on me at 23:00! Earlier I used to save coffee until I started feeling drowsy but this changed as I noticed how coffe in the last 4-5 hours makes it harder for me to sleep after the shift and also I discovered how important it is to start the shift as alert as possible. If I after 2-3 coffes in the early hours start feeling drowsy I have even added an energy drink (but one only!) for that extra kick. Tea-drinking in the night shifts is a luxury I provide my self when the stars are perfectly aligned - I'm fully energetic, the ED is not a chaos and I am working with a team I can fully rely on. Tea drinking is rare! Remember the water - for each cup I drink one glass of cold water. It's refreshing and keeps of caffeine induced nausea especially the day after. No heavy meals. Everyone feels tired after eating big and doing it in the middle of the night-shift is something I avoid - it’s like tying my self to an anchor. I try to eat so that I feel just about full in the beginning of the shift, when my energy is at maximum, and then eat light meals in the night. No warm meals until the final hour - they really make me tired so save these until going to sleep. I’d love to tell you I eat fruits but the truth is I’m a candy junkie and I regularly break personal records in the early morning hours of a night shift. But I've felt this is mostly a bad habit and I can do my night shifts just as well without carbohydrates so I try just to not buy them at all. Move and stretch. This doesn’t have to be said, only reminded of! Taking 3 minutes to do a few arm bends, deep knee bends or just standing up on toes - these boost your circulation just enough to move the tired proteins away from your brain for a while. Even stretching helps. Do power naps. When it’s as if I have zero energy left, I put all aside and do a power nap. I simply close my eyes and try to forget everything. Even as little as 5 minutes while sitting helps me to regain some energy to survive one more hour. If my caffeine level is too high a power nap is not an option. In that case sitting down and listening to one or two favorite songs with ear-buds can help a little. Music helps my mind draft away to other dimensions. It's all about coming up to the surface and inhale just a little fresh air. To get away from the night-shift just a little bit! Talk with the patients. I have a few extraordinary memories of conversations with patients in the middle of the night. After all, the night does have it's charm - the little things happening while the world is sleeping somehow have magic in them. There's something in the air that makes talking intimately easier. Patients smiling through their tears or telling about an amazing life-changing event gives me more energy than any power nap. I just have toremember to relax and listen. And so often these extra few minutes have revealed essential clues for the diagnosis and patients are much more tolerant to the tired ED doctor. Sleeping well the day after a night-shift is not least a challenge especially as we get older. As said, I save the big warm meal until the last hour (who doesn't get tired after eating) and no coffe in the last hours. As I'm in bed I try to do anything that mentally sets my thoughts as far away from the ED as possible - watch a Youtube music video or short documentary, read the news-paper... it all helps to start drifting away to dreamland. All in all - the more physical activity I can do the day or days before, the better my physical condition and the less sleeping-the-hours-before I do, the better I survive the terrors of a night-shift. And then a last tip - buy yourself the best possible Crocs you can find. With firm soles providing high friction against the floor so that you can run around corners without slipping! I’d love to have your night-shift tips - please share below! If you have in some way been involved in ultrasound you surely haven't missed hearing Chris Fox mentioned and his awesome ultrasound lectures. The Ultrasound podcast has made him appear as a god-like figure and judging from the work he's been putting into ultrasound teachings, I think they're absolutely right. You will not find any better ultrasound video tutorials in the Milky way! Not only is his work great but he has shared them all for free. They have been available on Youtube and iTunes. Youtube got a concussion recently and thinks they're infringing copyrights and iTunes is not for all. That leaves one final option for downloading the lectures directly to your computer - the torrent system. First of all, using torrents to share content is 100% legal, it is sharing copyright content which is not. Using torrents you will download from multiple sources instead of a single one, giving you much faster download speeds. A whoppy 10 gigabyte collection like Chris' ultrasound videos thus can easily be downloaded in 30-60mins. First you'll need a torrent software client. uTorrent has a good reputation and has all the features needed, it's free so go and install it. That's all there is to it. Open the torrent file in uTorrent and it takes care of the rest. Remember, torrents live only as long as those who have already downloaded continue sharing them. Please keep your connection open, you can set a max upload rate in the torrent program so that your Internet connection isn't clogged. These are some very interesting discoveries I've stumbled upon the recent weeks which I think may be useful to you. Stereomood is one of many Internet radio stations, providing free, streamed music. 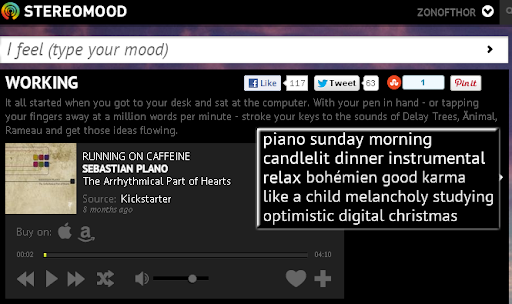 What makes Stereomood different is that you can choose the music channel appropriate for your mood. Thus you can listen to ambient background music for paper-work, inspiring drummy tunes for an energetic hour or just dreamy instrumental music while taking a nap. If you suddenly feel like jumping to the "opposite mood" there is a button for that, for example when returning to work after napping! The mood tags are collaboratively done by the listeners so they are pretty natural and music rightly tagged most of the time. Everytime you hear a tune that impresses you more than others you can "favorite it" for playing later. For all music there's a link to buy the tune or whole CD if you like the artist. Finally, there's a smartphone app for both iPhone and Android. Here is a little gem that caught me by surprise as I didn't realise how easy it has become to translate speech to text now a days. Well, TalkTyper, does that exactly and it does it amazingly well. As you talk to the microphone sentences are converted to text almost instantly and collected in a mini-notepad. You can select input language and all major languages are provided for and I expect the list to grow quickly as the web is in the background using a Google based speech to speech server. 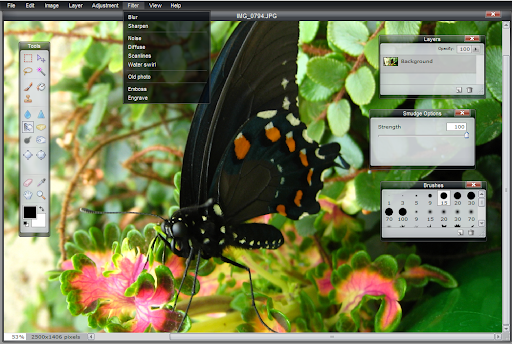 On a technical level, it is a built in Chrome feature (version 11 and above) being decorated with additional tools. An excellent productivity tool worth knowing about! Internet Explorer is notoriously stubborn, refusing to implement features users need. Printing a document to PDF file is one such feature, whereas Chrome allows you to just select "Save as PDF" as target printer. Explorer has a similiar feature but uses a Microsoft only technology called XPS instead of PDF. And most institutions force us to use Explorer. Thus, an online XPS to PDF converting tool was very much welcomed in my productivity link/tool collection. This is the web-application of the century and should be topmost in this list but I've mentioned it already a few times. It's the one web-app I use almost everyday and is indespinsible while working with images or photos. It has all of Photoshop's most used features, it's free, it can sync your images with Google Drive or Picasa... its' totally amazing. If you haven't used it, you should now! I love keyboard shortcuts as they make computer life so much easier - these are the latest I've discovered and definitely worth sharing! Middle-mouse-clicking a link in your web-browser (Chrome and Firefox at least) will open it in a new tab. Also, middle-clicking an open tab closes it. So lovely! While doing a Google search, you can anytime start writing again if you want to change your search - just start typing. No need to move mouse pointer to input field! Impatient while scanning a Youtube video? There's a button for changing playback speed, you can play up to 2x times faster, great for example to quickly browse through a ultrasound tutorial you've seen before. Notice this works only in the HTML5 player, switch here if you're still using Flash.